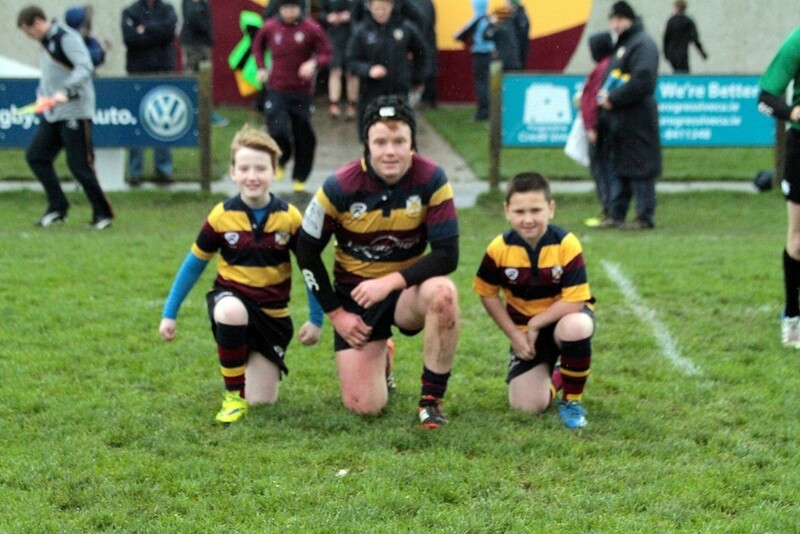 Tries from Eddie O’Mahony, Derek Keane, and Evan Sherlock, within twenty minutes of the second half start, heralded a rousing fightback in the AIL Div 2A fixture in Holmpatrick on Saturday. Malone, deservedly ahead by a comprehensive score of 5-29 at the break, were held scoreless as a rejuvenated Skerries side won the second half by 19 points to nil. The Belfast visitors reaped the rewards of accurate kicking for touch, some excellent pick and drives, effective rolling mauls, and abrasive urgency, that resulted in spectacular tries from their backs , Liddel, Pentland, Brown, and Barker and a textbook pickup from a 5-metre scrum by No. 8 Ross Todd which yielded a further try. The try bonus award was achieved within thirty minutes. Malone’s impressive performance was greatly assisted by some reluctance at times for the Skerries defence to engage. In miserable conditions, as the rain fell sideways, the stunned home crowd were further numbed by the apparent avalanche of opposition tries in the first half. Excellent as Skerries were in attack, in defence they were porous. The only interruption to Malone’s onslaught being Kevin McGrath’s power and pace which yielded a typical spectacular try. Skerries were on the rocks. They were leaking tries. With their influential Captain, Ross McAuley side-lined for three weeks through injury, it was not a good place to be. On resumption, the prevailing conditions continued to influence. But, from the jaws of death, Skerries regrouped. Little did anyone know the drama that was yet to come.The home side upped their intensity tearing into rucks time and time again. Particularly effective and inspiring in no small part were the brothers Evan and AJ Sherlock who imposed their physicality in returning kick-offs and loose play. Thomas O’Hare began to smother opposition lineout ball . Joe Glennon imposed his presence in both the tight and loose play. Derek Keane from his wing position contributed both vocal encouragement and direction while not shying from physical engagement. On the other wing Eddie O’Mahony’s speed tested the Visitor’s defence. Paul O’Loghlen who had moved from out half to scrumhalf offered a sharp accurate service. Substitute, Ciaran Frawley, in at out half, showed great creativity and his appreciation of the conditions resulted in intelligent kicking for position and distribution in the right area at the right time. James Faiva’s introduction to the midfield now attracted the visitor’s attention. Malone’s justified pretensions of comfort from their first half dominance was suddenly shattered . Skerries began to play with complete confidence and self-assurance. This young side are serving their time and perhaps they are coming of age. An honourable defeat. The leakage is not so pervasive that it cannot be remedied. Skerries have a return fixture next Saturday Dec 12th. in Malone Park, Belfast, 2.30pm.